AFTER a three-month pressure, the Minister of Information, Prof. Dora Akunyili, has decided to quit the cabinet of President Goodluck Jonathan for a Senatorial slot. 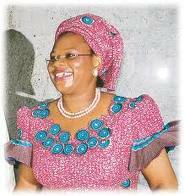 There were strong indications last night that Akunyili might leave the cabinet by the end of this month. According to findings, the minister had been under intense pressure from some stakeholders in Anambra State to vie for a Senatorial ticket in either Anambra Central District or South, as she might like. Among those who had prevailed on Akunyili are ex-Vice-President Alex Ekwueme; a former Secretary-General of the Commonwealth, Chief Emeka Anyaoku; ex-Biafran leader, Chief Emeka Odumegwu-Ojukwu; a political godfather in Anambra State, Chief Chris Uba; the National Vice-Chairman of the Peoples Democratic Party, Chief Olisah Metu and the National Chairman of the All Progressives Grand Alliance(APGA), Chief Victor Umeh. A source said: “There is pressure on Akunyili because stakeholders in Anambra have made up their minds to field independent-minded candidates in 2011 foe enhanced representation. “The era of godfatherism is gone in Anambra politics. When she was approached, the minister resisted but our leaders have assured her of their support. It was learnt that Akunyili has made up her mind to vie for a Senatorial seat. A reliable source added: “She will leave the cabinet latest by the end of this month. There is no doubt about her resignation.